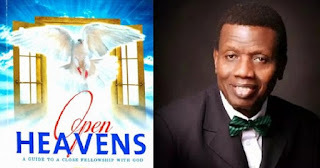 Open Heaven 14 April 2019 Prayer Points on Today – The Book of Remembrance - Open Heavens Daily Devotional Messages, By Pastor E.A Adeboye. 1. Oh Lord bring me into favor with all those that will decide on my advancement in Jesus name. 2. I receive the anointing to excel above my contemporaries, in Jesus Name. 3. 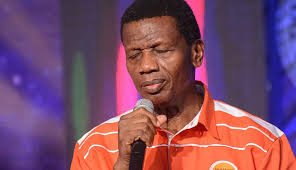 Lord, catapult me in to greatness as you did to Daniel in the land of Babylon, in Jesus name. 4. O Lord help me to identify and deal with any weaknesses in me the can hinder my progress, in Jesus name. 5. I bind every strongman delegated to hinder my progress, in the name of Jesus. 6. O Lord, dispatch your Angels to roll away every stumbling block to my promotion, and elevation, In Jesus name. 7. Lord, prepare me as a living sanctuary for you in Jesus name. 8. Oh, Lord let power from above fall on me to do the impossible, in the name of Jesus. 9. Oh, Lord let every good and perfect gift from above locate me today, in Jesus name. 10. I command the rain of abundance, goodness, favor and mercy to fall on every department of my life, in the name of Jesus. 11. let divine glory from above overshadow my life now, in the name of Jesus. 12. Wave to heaven, and give thanks for answers prayers, in Jesus name.